US media reports revealed that Judge Leslie Dutchcot, who requested Jerry Sandusky be freed on $100,000 unsecured bail, undertook volunteer work for the The Second Mile charity. District Judge Leslie Dutchcot ruled that Jerry Sandusky be freed without posting any bail money unless he doesn’t arrive for court. 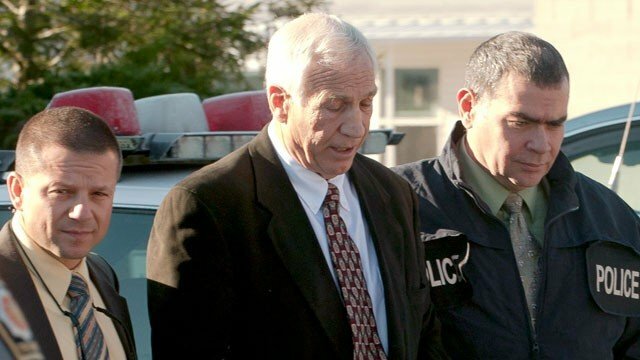 Leslie Dutchcot’s decision overruled a bid by prosecutors, who requested a $500,000 bail be set for Jerry Sandusky and for him to be fitted with a leg monitor, after being charged with 21 felony counts for alleged sexual abuse. A Grand Jury indictment alleges Jerry Sandusky, 67, sexually abused eight boys, some as young as seven, over a 15-year period. Jerry Sandusky denies the charges. Reports that Judge Leslie Dutchcot worked for the charity came as it was also revealed Jerry Sandusky was still being paid out large monthly pension cheques from Pennsylvania State University from his retirement deal, according to The Patriot-News. Jerry Sandusky founded non-profit organization The Second Mile in the late 1970s to help disadvantaged children (and allegedly picked his victims from it) and it is listed as one of the various charities Judge Leslie Dutchcot has volunteered for throughout her career. The information was spotted on website centrelaw.com, which is the site for Goodall and Yurchak’s law firm that Judge Leslie Dutchcot is counsel to. Jerry Sandusky, who retired from his position as assistant coach in 1999, continued to have access to the university’s facilities and maintained his coach “emeritus” status, according to Fox News. The former Penn State coach originally received a $148,271 cheque from the State Employees’ Retirement System. Since 1999, Jerry Sandusky has also apparently continued to receive the remainder of his pension paid out in monthly sums that equate to $58,898 per year. The Penn State University’s former Vice President Gary Schultz, who has been charged with perjury and failing to report the alleged child abuse, has also been receiving monthly pension payments, according to The Patriot-News. Gary Schultz retired from Penn State in 2009 and was paid a lump sum of $421,847 followed by monthly payments of $27,558 – equating to almost $331,000 annually. Despite retiring, Gary Schultz returned to Penn State in September on a temporary basis. The Penn State university’s former athletic director, Tim Curley, has also been charged with perjury and failing to report the alleged abuse, and has not received state pension payments. Both Tim Curley and Gary Shultz left their positions at the university when they were indicted but plead not guilty to the charges. Jerry Sandusky’s attorney, Joe Amendola, also said his client rejects all the allegations set forth in a 23-page indictment.